Divine milk chocolate coins are made with the same delicious chocolate you will find in Divine bars. Each coin is beautifully embossed with our 'Fair Deal for cocoa growers' joined hands logo on one side and a cocoa tree on the other. The cocoa tree illustration actually comes from the Ghanaian 'cedi' currency and each coin guarantees a fair deal to the cocoa farmer of Kuapa Kokoo in Ghana. 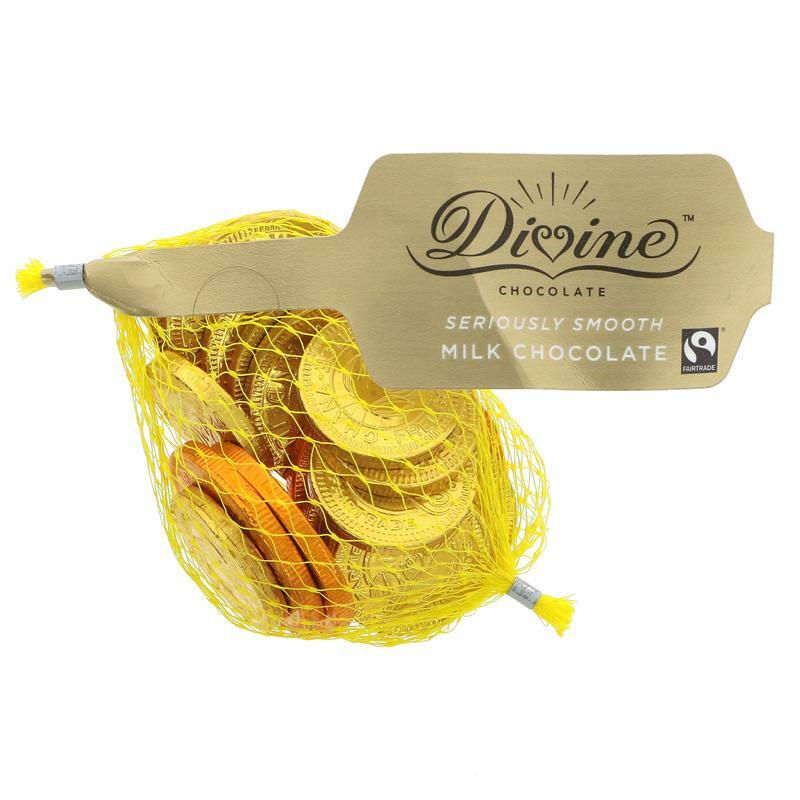 Divine milk chocolate coins are the only Fairtrade chocolate coin gift option on the market.